The Croatian Chamber of Trades and Crafts (HOK) is an independent professional business organization of tradesmen and craftsmen. Its members are tradesman and craftsmen who perform a trade/craft business on the territory of the Republic of Croatia. Membership is mandatory. The tasks of the Chamber are the following: promoting trades and crafts, representing tradesmen and craftsmen’s interests before state authorities and in economic policy making, providing state authorities with opinions and suggestions when passing regulations concerning trades and crafts, assisting tradesmen and craftsmen in establishing and operating a trade/craft business, performance of other tasks stipulated by the law and legislative documents of the Chamber. Within the tasks stipulated by the Law on Trades and Crafts, the Chamber has public authorities in the area of initial and lifelong vocational education and training. 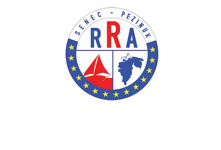 Regional Development Agency Senec-Pezinok (RDA) is an interest association of legal entities engaged in regional development since 2002. It is a member of an integrated network of regional development agencies established by the Ministry of Transport, Construction and Regional Development of Slovak Republic. Our board members are: Bratislava Slef-governing region, City of Senec, Regional association of villages Podunajsko, Slovak Chamber of Commerce and Industry, Slovak Chamber of Crafts, and NGO No-Gravity. RDA cooperates with public, SMEs and NGO sectors in Slovakia and similar bodies from EU and third countries. Main activities relate to vocational education and training (VET) in the lifelong learning context, consultancy and support service for elaboration of socio-economic strategies, project management and tailor-made VET training. Focus is put on VET, community development, partnership, empowerment of stakeholders, VET valorisation in SMEs, decision-makers, VET schools, as well as SME associations, chambers and social partners. 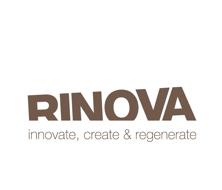 The staff at Rinova brings some 25 years of experience in the lifelong learning sector in the UK and Europe and an extensive portfolio of project work in relation to learning design, training, quality assurance, evaluation, with an emphasis on innovation. Rinova co-ordinates the Rinova Consortium (see www.rinova.co.uk/rinova-consortium), a unique network of employability & skills organisations who are working together to create new opportunities for young people – with an emphasis on creative and imaginative provision in the arts, creative industries, sport, health, leisure, tourism & hospitality sectors. Its consortium has extensive reach with employers in these growing job sectors. Chamber of Commerce and Industry of Serbia – the Regional Chamber of Commerce of Moravice and Raška Administrative Districts is a business professional organization of companies and entrepreneurs from the region of Raska and Morava district and deals with issues of common interest of its members. As a service economy organisation within the single chamber system, it participates in the initiatives f or making, preparing and revising laws and others regulations in the field of economic system, and economic policy. The Chamber provides technical assistance to its members in solving practical problems, such as the affirmation and promotion of their production programs and the economy at home and abroad. In cooperation with the local government, it is taking measures to improve the regional business environment and create a profitable, modern, market-oriented economy of the Region.